Great news for fans of the quirky light mystery Agatha Raisin. We heard a while back that Series 2 had been commissioned by Acorn TV, but no firm premiere date was released at the time. When Does Agatha Raisin Season 2 Premiere? That wait in between is going to be brutal! While we can't help but feel a little sad about having fewer episodes, it's better than the certain death the series faced before Acorn TV commissioned this new set. With any luck, it'll do so well they go on to adapt every story dear Mrs. Beaton has written (and she's a prolific old gal – see below for the full list). Episode run times haven't been released, but we're hoping that since they say “movie”, they'll be the longer 90 minute format. It seems to make for deeper, better-paced stories. The original pilot definitely felt less rushed than the numerous shorter episodes in Season 1. Series 2 opens with Agatha's return from Cyprus with a broken heart and seriously bad hair. She's back to business-as-usual in no time, though, after meeting a handsome hairdresser whose interest in her makes Agatha the envy of more than a few local ladies. Unfortunately for her, business as usual also means murder. Her blissful new relationship interrupted, she has no choice but to attempt to solve the case. And with that, we're officially ready for Season 2 – November can't come soon enough! Don't have Acorn TV? You can sign up for it HERE. 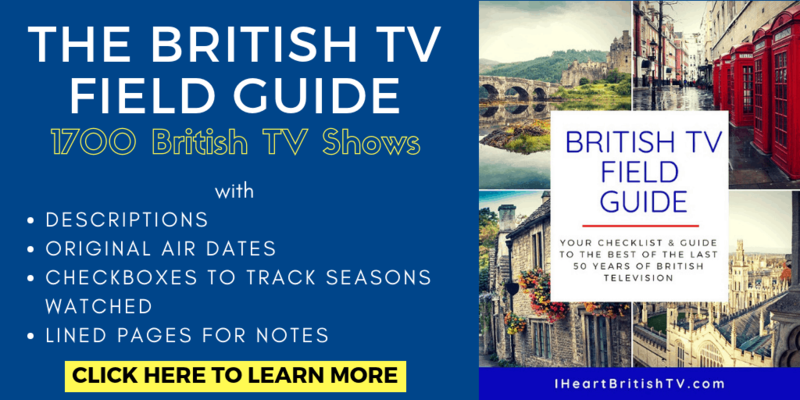 They have tons of fantastic British programming including Midsomer Murders, No Offence, Doc Martin, Love Hurts, and of course, Season 1 of Agatha Raisin. Who's Returning in Agatha Raisin Season 2? Returning for Series 2 are Agatha’s former assistant, Roy (Mathew Horne, Gavin and Stacey, Drunk History UK); her friend, Sarah (Lucy Liemann, Rev), eager Detective Constable Bill Wong (Matt McCooey, a fantastic actor whose previous roles were quite minimal); and village cleaner and friend, Gemma (Katy Wix, Torchwood, Not Going Out). And of course, Ashley Jensen as Agatha. Since we've still got about 7 weeks until the first movie-sode appears, that gives you plenty of time to get caught up if you're not familiar with the series. There are 9 episodes from Season 1 to watch, and if you're feeling really ambitious, you could start in on the novels. We've listed them all below – including the latest installment, The Dead Ringer, which comes out tomorrow, October 2nd. Be sure to check out author M.C. Beaton and Acorn TV on Facebook. 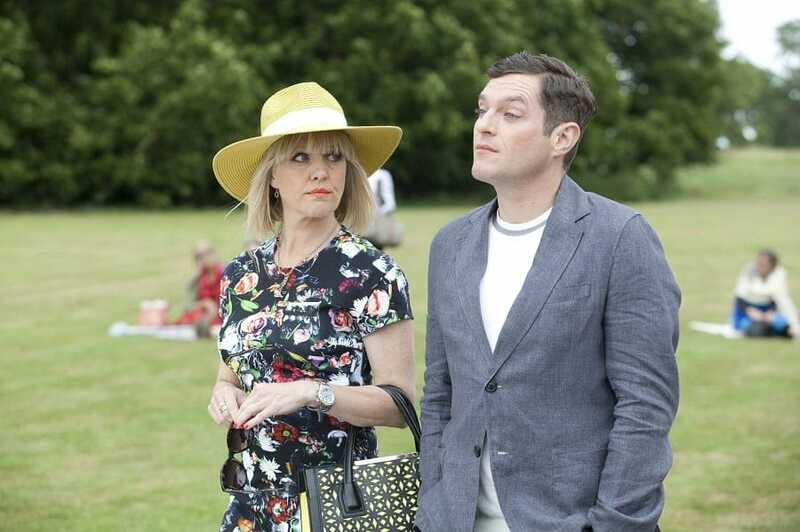 Is it likely the new Series of Agatha Raisin will be aired on a British TV channel at some point? Loved the first series. I love the Agatha Raisin series. Looking forward to the new season. Somewhat ironic that it’s a British TV series that’s never going to be seen in the UK! Why can’t we watch this in the UK? I tried subscribing to Acorn. We can’t, it’s only if you are in America. I watched the 1st series on DVD and loved it. There’s no DVD for the second series. It’s ridiculous!